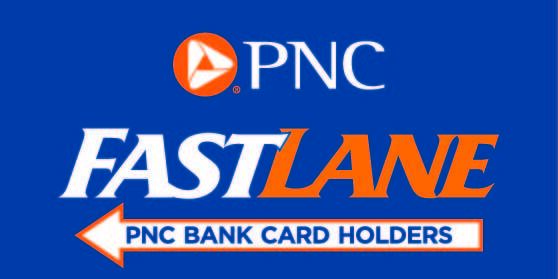 For all PNC Pavilion concerts look for the FASTLANE next to the Box Office and get in faster by showing your PNC Bank Card. Not a PNC Bank Visa® Debit Card holder? Click here to learn more about PNC products and apply for an account!